926 upgraded, 81 newly installed, 0 to remove and 4 not upgraded. Need to get 1,503 MB of archives. After this operation, 622 MB of additional disk space will be used. How should I change my filesystem configuration? udev is not used at all,why? As you surmised, the issue is simply that you don't have enough space in your VirtualBox instance. The solution is simple. Just extend the Logical Volume (LV) that your Virtualbox instance is living on. lvextend should do it. man lvextend should give you sufficient information. Ask on the site or in chat if you need more help. Then download Gparted or use a linux live USB. Remove the attached gpartd.iso from the Controller IDE, then boot your virtual machine. Not the answer you're looking for? 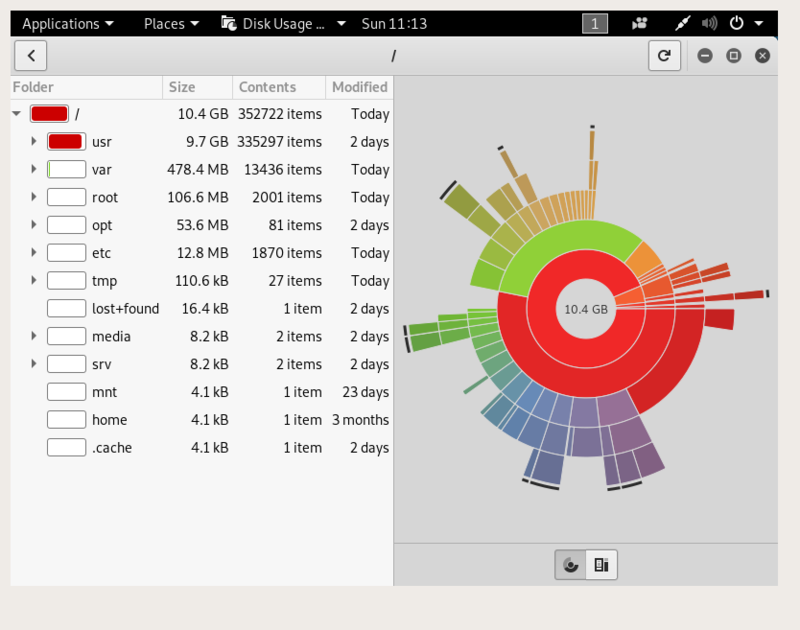 Browse other questions tagged filesystems kali-linux disk-usage or ask your own question.